Spread miles of smiles with our “Crazy For Daisies” bouquet. This arrangement grins from top to bottom with flower-shaped foil balloons and lovely latex balloons in coordinating prints and colors. 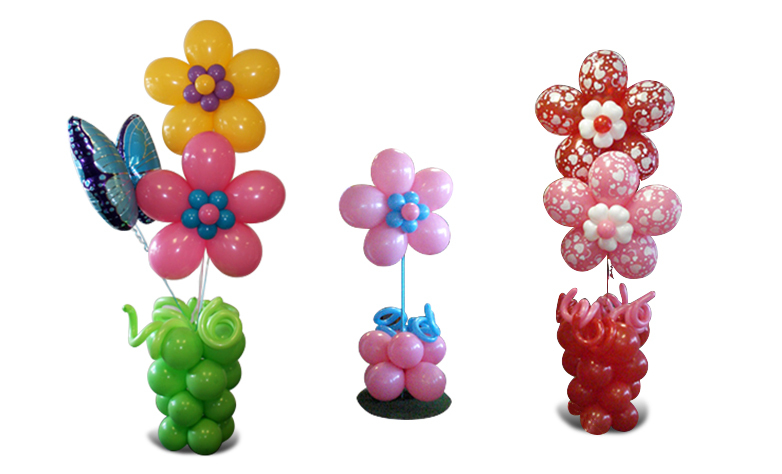 The piece-de-resistance is a large sculpted balloon daisy that floats above the fun tapered balloon vase. This spectacular arrangement is perfect for mom, grandma or any special someone who lights up your world the same way this will light up hers! The entire arrangement stands almost 7ft. tall and will stay inflated throughout the entire week.